One of the reasons why I use a glass baby bottle to feed my child is because it’s long-lasting and effortless to clean. They are also more eco-friendly, sturdier, and had no chemicals that can go into my baby’s formula, compared to plastic bottles. But how can you sterilize and deep clean them to rid it of any bacteria from your baby’s last feeding? Read on as I show you how to sterilize glass baby bottles for a more efficient cleaning and assurance that what you feed your baby is deemed safe for consumption. This is one of the simplest and easiest ways to sterilize baby bottles. It can be a bit tedious, but it’s efficient and quick if you have no dishwasher or electric baby bottle sterilizer. Before sterilizing the bottle, make sure that you wash it with a soft sponge and baby-safe dishwashing soap. If you do not wash it, it doesn’t make sterilization as useful as it should be. Wash your hands before cleaning the bottles to limit the germs and bacteria that touch the feeding tools. Rinse it thoroughly right after, washing it off from any suds or residue. You can begin using dish soap or the dishwasher after your little one has reached six months old and his immune system is stronger. Prepare the large saucepan and add water with three tablespoons of baking soda. Place all the feeding tools inside it right after. Cover the pot with its lid and bring the water to a boil. Once it is boiling, keep it boiling for about five minutes. Baking soda is especially useful for worn baby bottles or to add an extra boost when sterilizing. It has the bacteria-fighting properties and can be used for many other things for its health benefits. Turn off the heat and leave the lid on while the water cools down. Leave it for about five to ten minutes. Once it has cooled down, use tongs to remove the bottles from the boiling water and place it on a dry kitchen bottle or bottle rack for it to dry. Once it has dried, you can now use it and mix formula in. It’s better to use it when it’s fully dried to mix formula efficiently. This is a straightforward method and recommended for those who have a steam function or high-temperature setting on their dishwashers. BUT, it uses a lot of water! Place the bottles on the top rack of the dishwasher. If you have other accessories, then add it to the basket of the top rack. Now run the dishwasher on a hot (rinse) cycle and leave it until the process is done and the bottles are ready to be taken out. Once the cycle is done, get the bottles out and put it on a towel or rack to dry it out. Use it after it is fully dried and ready for putting formula in. When it comes to keeping your baby’s bottles clean, you’ll need to know how to deep clean and sterilize it. That way, you get rid of almost any bacteria found in the bottle. Whether it’s brand new or you just gave it to your little one, you’ll need to ensure that the glass bottles you have are always clean and ready to use. It’s a way to prevent any infections or diseases coming your baby’s way. I hope that this article on how to sterilize glass baby bottles helped you become more knowledgeable on keeping your baby tools and equipment clean and safe. So don’t wait any longer and start following these tips today. If you have any questions or would like to share your tips and experiences on how to sterilize glass baby bottles, then comment down below. I would love to hear what you have to think. Every year, an average of 38 children die due to the hot temperature inside the car, or commonly called as hot cars. Reports concluded that some parents let their children stay in a car regardless the harsh heat from the sun. They could be just undeniably irresponsible but some just unknowingly leave their child inside the car for an hour or so without the awareness of the possible fatal results. It only takes 15 minutes, yes, only 15 minutes and your child may suffer serious physical and health impairment, specifically brain and kidney-related problems and the worst, death. As you place your child at the backseat, the next thing you always do is buckle him up. You are all calm and relieved how secured your child will be with his seatbelt on. 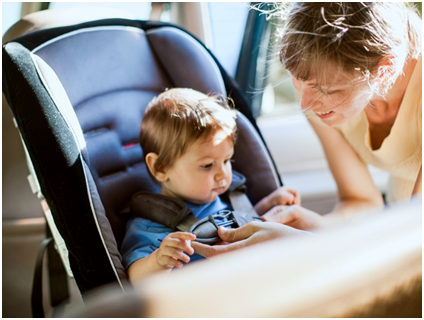 But, is buckling up just enough to keep your child safe and secured? Travelling could be one of the most exciting things to do with your family though it can be quite a hassle sometimes. You’ve packed all the stuff that you need, booked the hotel you’ll be staying in and have the tickets prepared for your flight or the vehicle checked for a long drive. But, if you’re travelling with a kid, you know you need to bring more than just the necessities. How about your child’s convertible car seat? Ever thought of bringing it with you along the trip?